I have recently read a wonderful book by Helen Simonson called Major Pettigrew’s Last Stand. It is set in small village England (you probably guessed) and features many of the ideals of Miss Marple-“honor, duty, decorum and a properly brewed cup of tea” as stated on the flyleaf. In a section of the book,a large number of bacon rolls were served to nourish the gentlemen prior to a shooting party (British sport shooting). I wondered what a bacon roll was, so I looked it up. 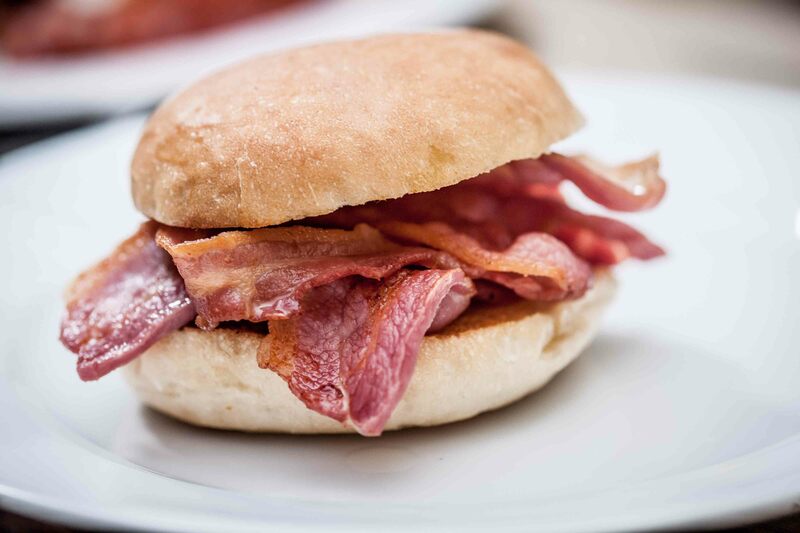 It is simply a bacon sandwich- a breakfast that I have loved forever. English foods frequently have comical names like bubble and squeak, and neeps and taters- and puddings are not a cornstarch based dessert!